""I got home and found a note from my wife and son: 'We've popped over to West Berlin.' I added: 'I'm coming after you,' and took off. I remember seeing a couple with a baby carriage packed full of things, as if fleeing from East to West. I couldn't understand — did they really think things could be rolled back? We drank till 4 a.m. in a bar. In the morning, I went — like a good German — to work." 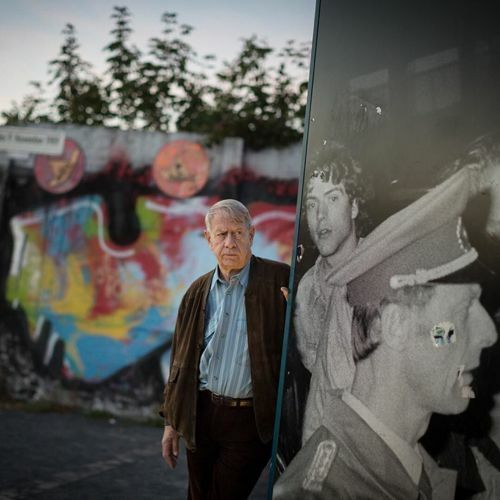 Joachim Grosskreutz, 75, worked at the Komische Opera in East #Berlin both before and after the fall of Communism. Joachim is one of six Germans from different generations who told @nytimes their views of the past, present and future of Germany for the 25th anniversary of #reunification on October 3. See more: nytimes.com/instagram." By nytimes on Instagram.